WhatsApp plus now known as WhatsApp reborn is no doubt the most popular and best unofficial mod for whatsapp, it gives you users the ability to do more than you can with the official app like full customization of the app, better privacy feature, whole new material design and many more. Unfortunately WhatsApp started banning any user caught migrating from WhatsApp to WhatsApp + and this made many users stick to the official app due to the fear of been banned. The developer of WhatsApp reborn later created an anti ban version of the app which prevents users from been banned but some people still claimed to have been banned even with the anti ban version while trying to switch between both apps. So today I will be showing you guys how to install the latest version of WhatsApp reborn without getting banned. But before that let's check out some features of WhatsApp reborn. ==> Awesome privacy features Hide blue ticks , double ticks, last seen, "is Writing" text So you can go underground. If you already using the WhatsApp reborn, all you have to do is to download and install the apk without uninstalling the current version . 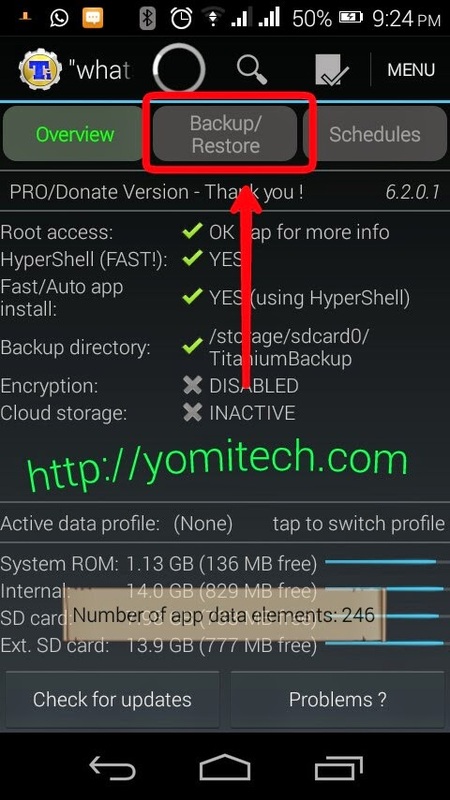 ==> The first thing you have to do is to download titanium backup from playstore. ==> Open titanium backup and click on the backup/restore button. 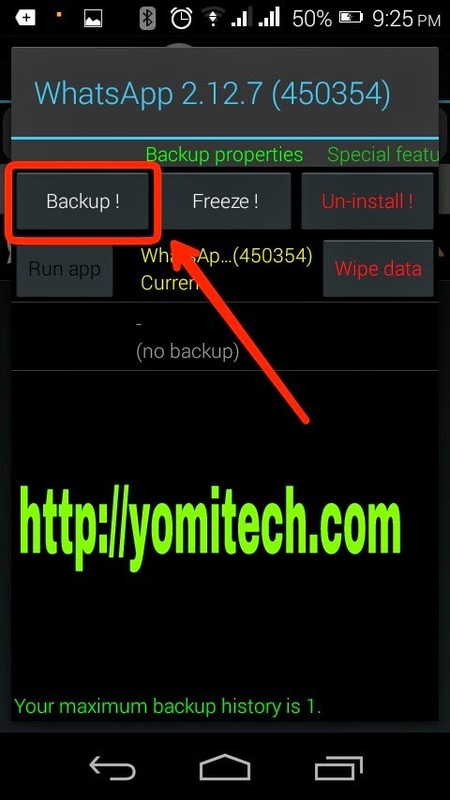 ==> select WhatsApp and click on backup. ==> Now uninstall the official WhatsApp and install WhatsApp reborn. ==> After installing the WhatsApp reborn, open titanium backup and click on backup/restore tab. 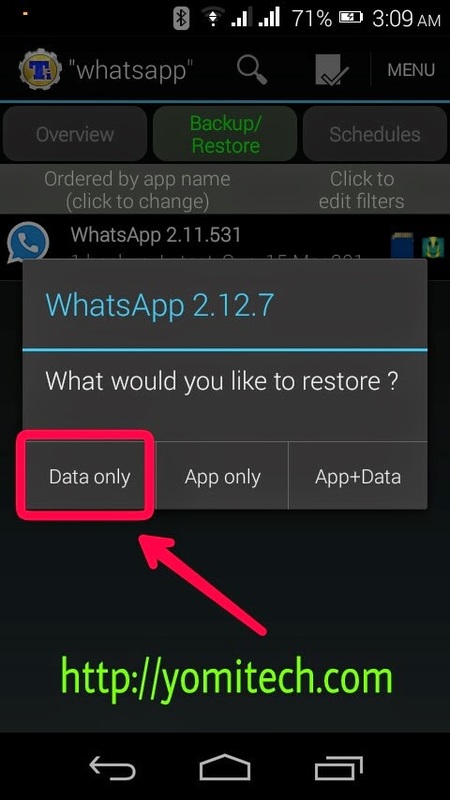 ==> select WhatsApp and click on restore. ==> Now select data only and wait while titanium backup of restores your data. 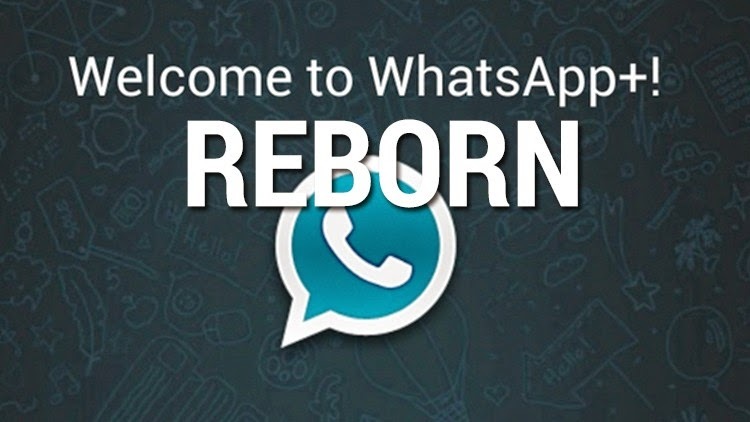 ==> Now you can open your WhatsApp reborn and start chatting. Congratulations!! You have just installed the WhatsApp reborn. Download WhatsApp reborn 1.70 here. If you have any question, drop it in the comment box below.